Hero Arts Clear Stamps WINTER TIME FUN CM120 at Simon Says STAMP! CM120 This item is on reserve until If you would like to reserve this item now, you may purchase it now with the rest of your order. We will hold your order now and ship your entire order as soon as this item is back into stock. If you would like your order to ship now, please place this item on a separate order. 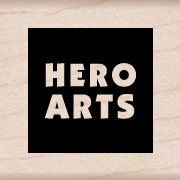 Success, Hero Arts Clear Stamps WINTER TIME FUN CM120 has been shared! These adorable animals and cold-weather fun images are perfect for your winter-season cards and projects. Coordinates with DI333 Winter Time Fun Frame Cuts. Our Clear Design Stamps peel off their backing and stick to acrylic blocks for easy positioning. Mix and match the designs, then easily store them for another time. Made by Hero Arts in the USA from genuine photopolymer. Unmatched quality means a crisp impression every time. This is a 4x6 inch stamp set.